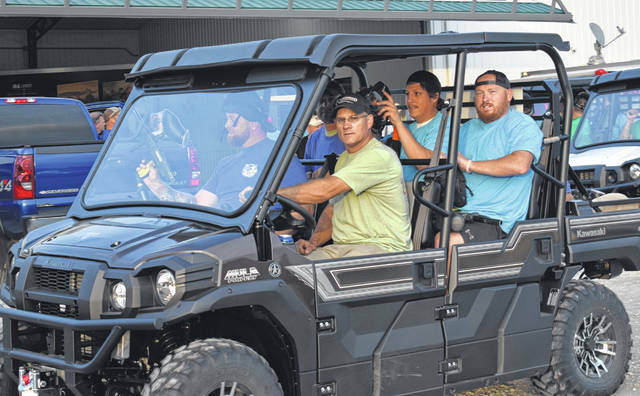 The fourth annual Operation Cherrybend kicked off their long-weekend event for veterans with a friendly game of paintball at Cherrybend Pheasant Farm. The mission of Operation Cherrybend is “to thank veterans for their courage, selflessness and sacrifice to our country. We also hope to educate the general public about the trials and challenges of wounded veterans, and veterans in general. Twenty-two American veterans commit suicide daily, which we hope to bring awareness to and help change.” The festivities include the traditional Saturday night concert at the Murphy Teheatre, featuring headliner Mark Chesnutt and the annual visit by singers/veterans Jared Ashley and Jason Michael Carroll. 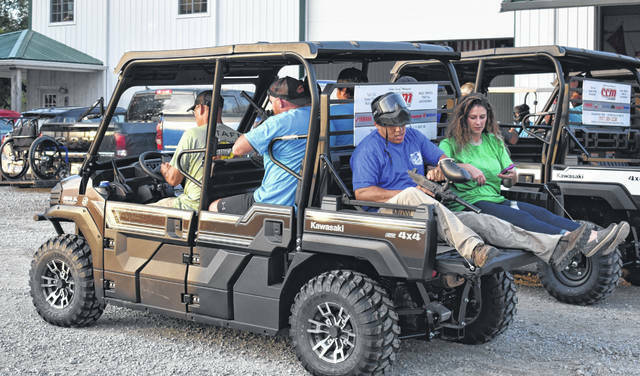 The paintballers head ‘em up and move ‘em up for Operation Cherrybend’s capture the flag paintball game on Wednesday at Cherrybend Pheasant Farm. 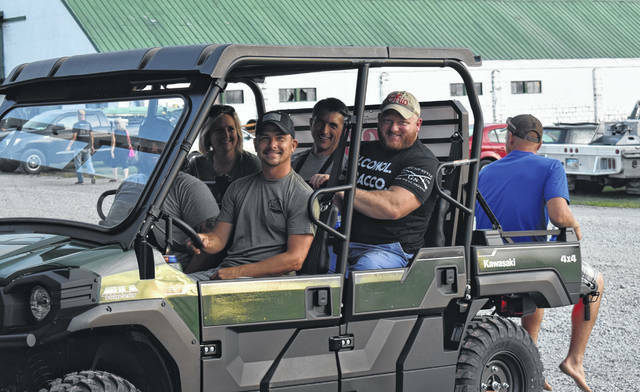 Participants in Operation Cherrybend — including local veteran Josh Sams (middle), veteran Jared Ashley (driving) and Cherrybend Pheasant Farm’s Beth Ellis (left in back seat) — enjoy the kick-off festivities at Cherrybend Pheasant Farm. Activities for veterans this week also include night-ops coyote hunting, a fishing tournament, cookout and tandem skydiving.